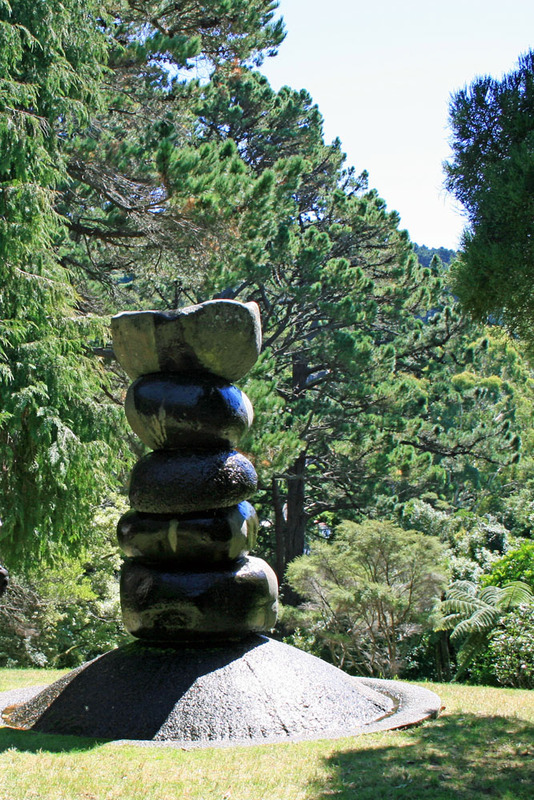 I include Wellington Botanic Garden in my Top Ten Gardens as much for its unusual situation on a steep hillside overlooking the city of Wellington, as for its huge collection of native and overseas plant species and extensive floral displays. At first sight the 62 acre hillside location may seem daunting, particularly for less nimble Seniors. 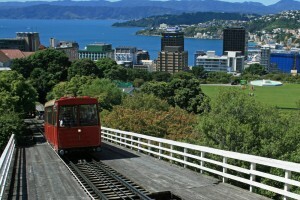 However a cable car runs every 10 minutes from Lambton Quay to the top of the garden towering 400 feet above. Then it is a pleasant stroll back down to sea level along the many winding pathways, with sweeping views of Wellington City and Harbour from several vantage points along the way. 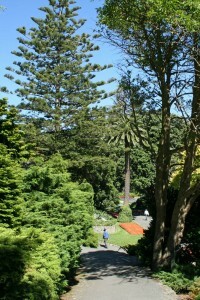 Dating back to 1869, the garden was initially managed by the New Zealand Institute. In 1891 Wellington City Council took over management and has continued to develop the garden as a major amenity for city dwellers and tourists. 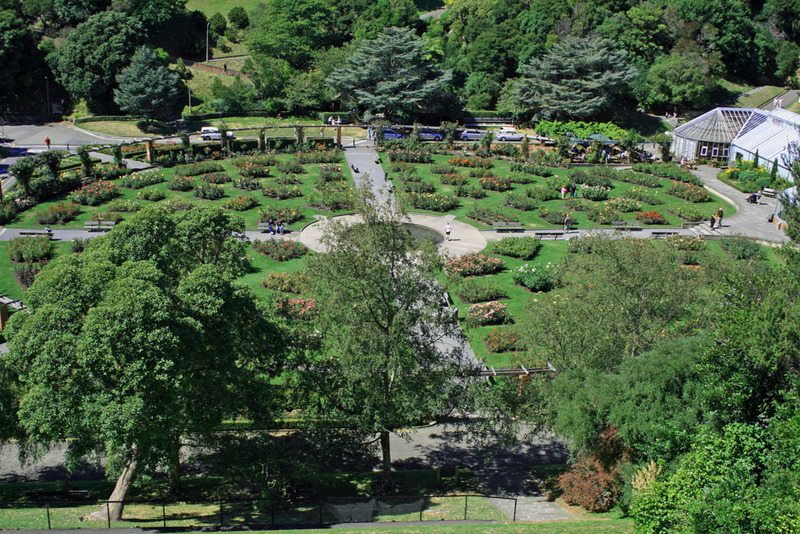 It is considered a Garden of National Significance and an Historic Places Trust Heritage Area. 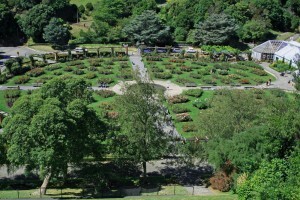 There are many different sections to the garden and lots of different routes that can be followed from the top to the bottom, as can be seen on the map. The route I took, as now described, included most of the key features. Before setting off down from the cable car station, I had a look round the small, but fascinating, Cable Car Museum. Heading west along one of the Bush Walks following the Pukatea Stream took me through native bush and past some of the 50 introduced conifer species. Cutting back towards the top of the garden, I passed through the Hydrangea Gully to the Australian Garden, which contains a wide range of interesting species including banksias and kangaroo paw. Then on through the Succulent Garden, Rock Garden and Threatened Species Garden to the Treehouse Visitor Centre – an informative place to stop and get your bearings. Passing through the Camellia Valley, I then followed the Sculpture Trail winding past a range of sculptures and carvings blending in well with the surrounding vegetation. Artists represented include Henry Moore and Andrew Drummond. Towards the end of the Sculpture Trail is the Peace Garden, where a lantern contains a flame lit from the fires of the Hiroshima bombing. This was given by Japan in recognition of New Zealand’s work against nuclear weapons. The Begonia House nearby contains a large collection of orchids and lilies as well as begonias. This is a good place to stop for refreshment in the Picnic Café, and maybe check out the Gift Shop, before exploring the massive Lady Norwood Rose Garden with over 3,000 roses, both old-fashioned and modern varieties. From there the main route down into the city passes through the historic Bolton Street Memorial Park where the 19th Century Wellington cemetery is located. I spent a whole afternoon strolling through this very well-maintained garden, with something interesting to see at almost every twist and turn in the meandering pathways. However there is plenty left for me to see in a return visit, hopefully not too far in the future. Wellington Botanic Garden is open from dawn to dusk every day of the year; the shop closes on Tuesdays in winter (April to August). There is no entry charge.